These gold glittered table numbers will dazzle your guests as they find their way to their tables after arriving at your reception. If a little glitz and glamor is what is called for at your wedding, then these sparkling numbers are just the ticket. Want to see it in silver AND get the DIY details? 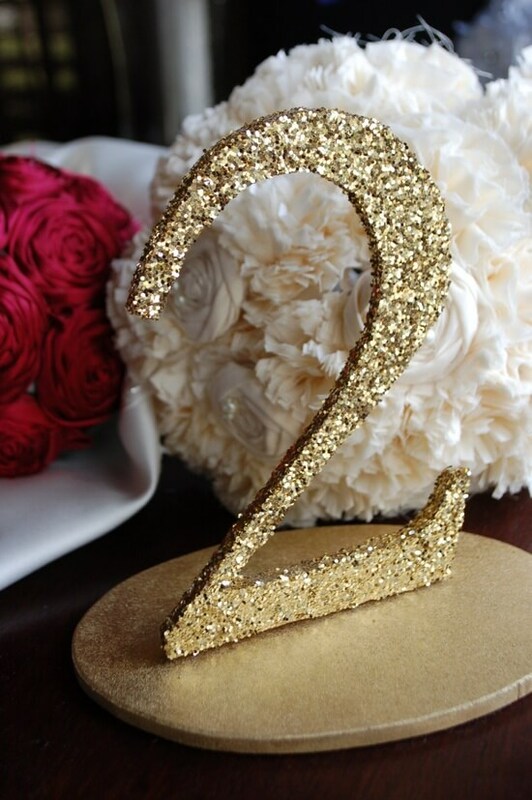 See our post on DIY Silver Glitter Table Numbers.